Canada is pushing for the inclusion of enforceable, progressive labour standards in a rewritten North American Free Trade Agreement, aimed at compelling Mexico to pay workers higher wages and do away with so-called "yellow" unions that represent employers rather than employees. Canada’s proposed chapter on labour standards also calls for an end to right-to-work laws in the United States, whereby workers in 28 states have the right to refuse to join or pay dues to a union while enjoying all the benefits of a unionized workplace. Labour leaders contend such laws are essentially aimed at starving the unions of cash and weakening their ability to represent the interests of their members. Foreign Affairs Minister Chrystia Freeland boasted Monday that Canada has "put forward the strongest, most progressive labour provisions ever put forward by Canadian trade negotiators." And union leaders who’ve been consulted on the proposal say that’s no exaggeration. "She’s absolutely correct," Unifor president Jerry Dias said in an interview. "The Canadian proposals are very aggressive and progressive." One of the biggest concerns of both Canada and the U.S. is the exodus of quality jobs and investment, particularly in the automotive sector, to Mexico, where the minimum wage is less than $1 per hour. Canada’s proposal does not suggest any specific minimum wage should be set, Dias said. It focuses more generally on the principles of improved working conditions, fair compensation, gender equality and the right to collective bargaining. Angella MacEwen, senior economist with the Canadian Labour Congress, said the proposal reflects the International Labour Organization’s declaration on fundamental principles and rights at work. "There isn’t an internationally accepted minimum wage but there are internationally accepted standards around discrimination of workers, around hours of work, around health and safety — at least that this has to be taken into consideration, that you have to have some protection for workers," she said. While there’s no specific minimum wage proposed, MacEwen said: "In general, we think that if you have higher labour standards and you make those labour standards enforceable, that gives workers more bargaining power and so that allows them to push wages up in Mexico." NAFTA currently includes an unenforceable side deal on labour which essentially commits each NAFTA partner to the aspirational goal of improving working conditions and enforcing its own labour standards. Canada’s proposal also calls for an end to Mexican unions which are dominated by the employers, which MacEwen said is essentially "an unfair subsidy to business" that helps keep wages low. That’s not just bad for Mexican workers, she said, "it’s also bad for workers in Canada and the United States because now we’re competing with these unfairly low wages." Similarly, union-busting right-to-work laws in the U.S. have resulted in lower wages there so Dias said Canada is proposing that they also be scrapped. Freeland did not get into specifics of the proposal but said it’s aimed at addressing the skepticism workers have about trade agreements. "Canadian workers have legitimate anxieties about the ways in which international trade can lead to a race to the bottom in labour standards and can erode their own living standards and their own wages," she said. "Those are concerns that our government takes very seriously ... It is very much reflected in the labour proposals we are putting forward in NAFTA." Labour standards are on the agenda today and Wednesday at the third round of NAFTA negotiations, which began Saturday in Ottawa. The U.S. is expected to table its own proposed text for the labour chapter and labour leaders believe it will echo provisions in the Trans-Pacific Partnership, a trade agreement among 12 countries, including Canada and Mexico and, initially, the U.S. Donald Trump withdrew the U.S. from the deal when he became president. In a letter Monday to U.S. Trade Representative Robert Lighthizer, Dias said the TPP language has "major limitations," including no specific reference to the International Labour Organization’s core conventions or gender equality, no reprieve for workers subjected to violence and intimidation for exercising their rights and no effective mechanism to bar products made with child labour. 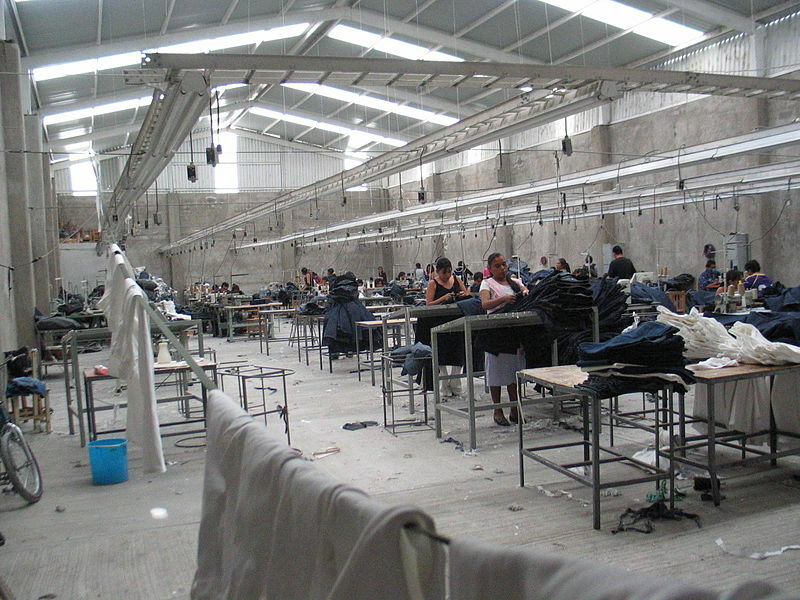 While Mexico has said it too wants to improve labour standards, Mexican officials are concerned that small businesses, which employ the vast majority of the country’s workers, can’t afford to pay dramatically higher wages. Canada’s proposal does not mention phasing in increased wage rates but Dias said that’s something that could be negotiated. For her part, Freeland said Mexico’s problems with the proposal are not her concern. "I get paid in Canadian dollars and not in pesos or U.S. dollars and it’s my job to represent the Canadian national interest when it comes to the labour chapter very much to represent the interests of Canadian workers." On another labour front, Canadian officials are cautiously optimistic that they’ll be able to win agreement on freer cross-border movement of workers — an issue that was on the agenda Monday and is on the table again today. NAFTA does ease the flow of labour between Canada, the U.S. and Mexico but only for workers in some 60 occupations, including doctor, dentist, lawyer, accountant, hotel manager, economist, engineer and scientist. Canada wants to expand that list to include jobs most in demand today, particularly in the high tech sector, which didn’t exist when NAFTA was negotiated 23 years ago. Many trade experts had predicted that would be a non-starter with the U.S., given the protectionist "buy American, hire American" attitude of the Trump administration. But Canadian officials are encouraged that American negotiators are asking for more information on the proposed expansion of the list, rather than simply rejecting it out of hand. They say there’s been no mention by the Americans about rolling back the existing list, as some trade experts had feared.